I'm doing pretty good with posting this week albeit late in the day! 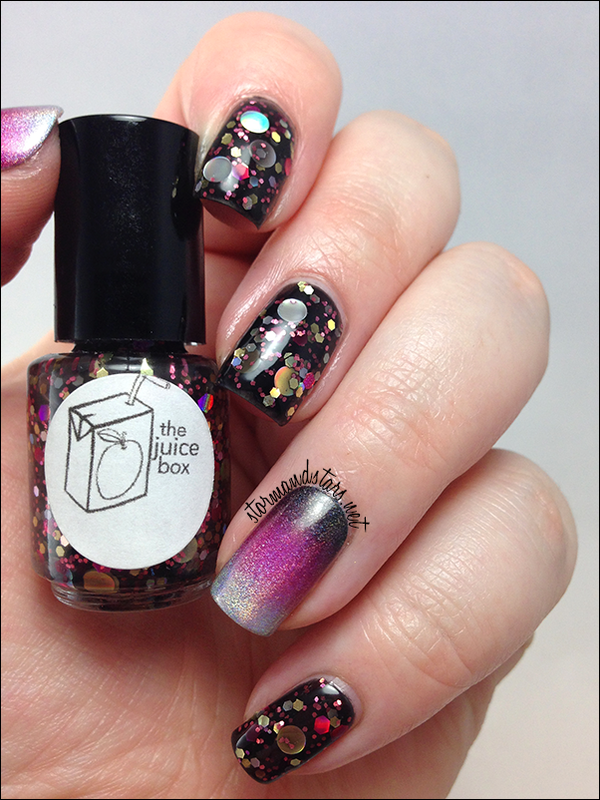 Today I have some gorgeous glitter bombs for you from The Juice Box. This is another new to me brand and I am so glad I found it! This collection is called Alive. Lets get to the polish shall we? 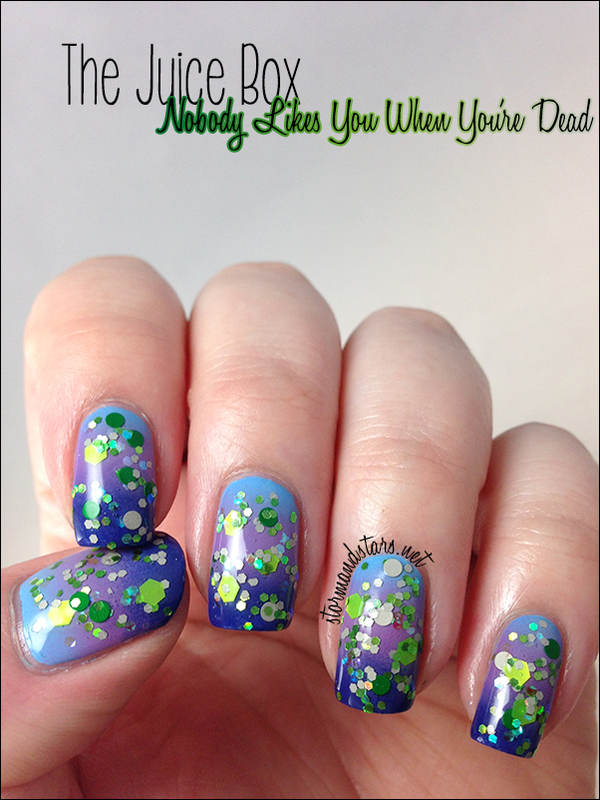 First up is Nobody Likes You When You're Dead. Gaaaaaaaah! 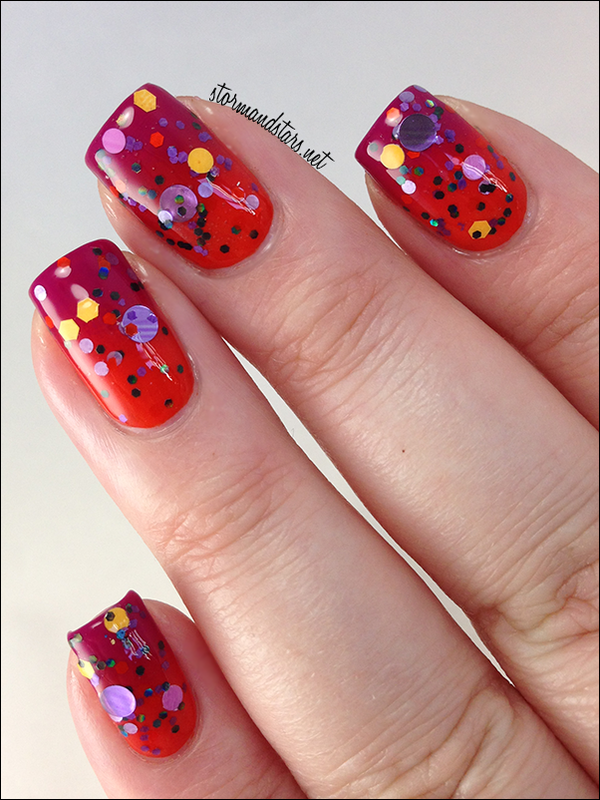 Look at all that gorgeous glitter and circles!! 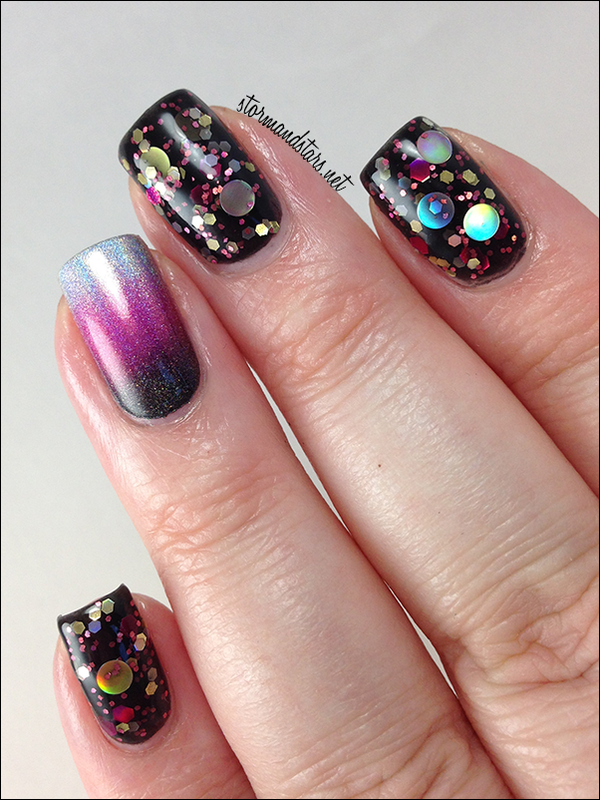 I love circle glitter more than I care to admit. I had some fun with these swatches, putting them over gradients instead of just plain undies. 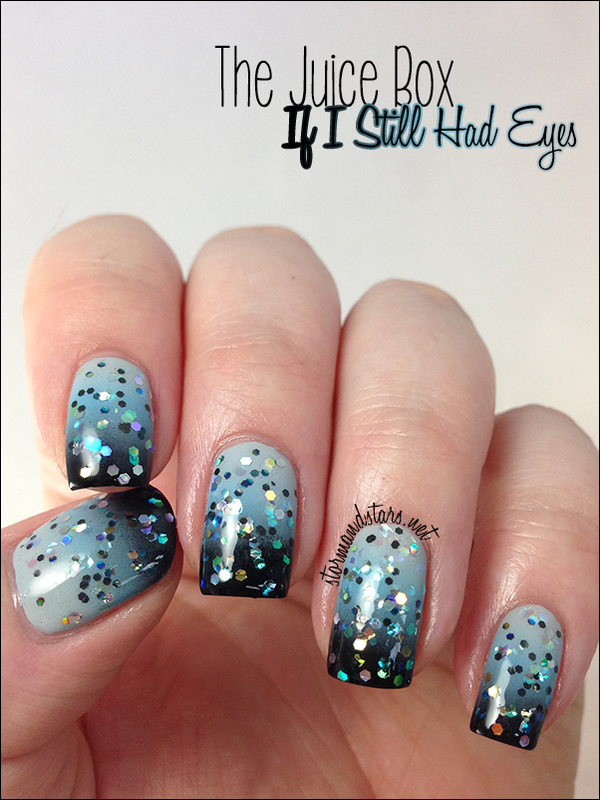 This one is layered over a gradient of Cult Nails Nakizzles Shizzle, Love at 1st Sight and Wack Slacks. This glitter is super perfect and I had no problems getting the glitters out, even in the small bottle. Next up is If I Still Had Eyes. 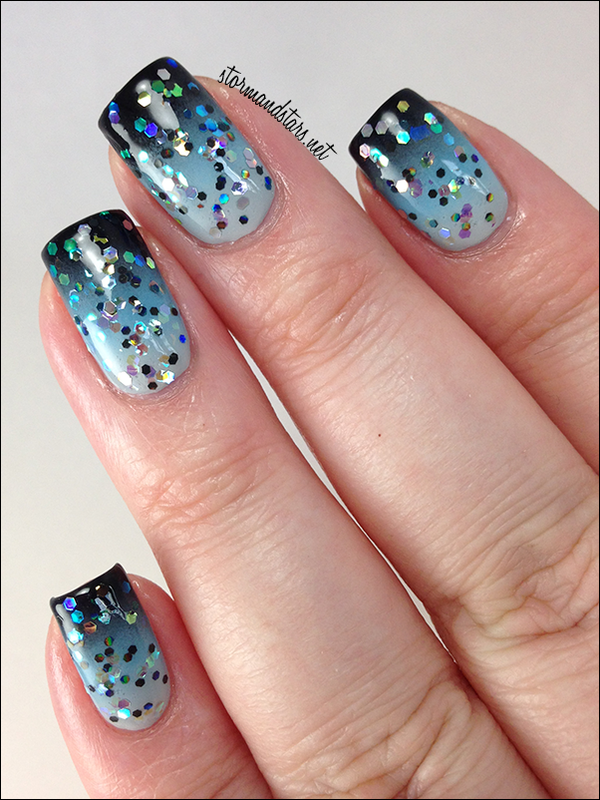 This one is a bunch of small hex glitters in black and iridescent shades in a clear base. 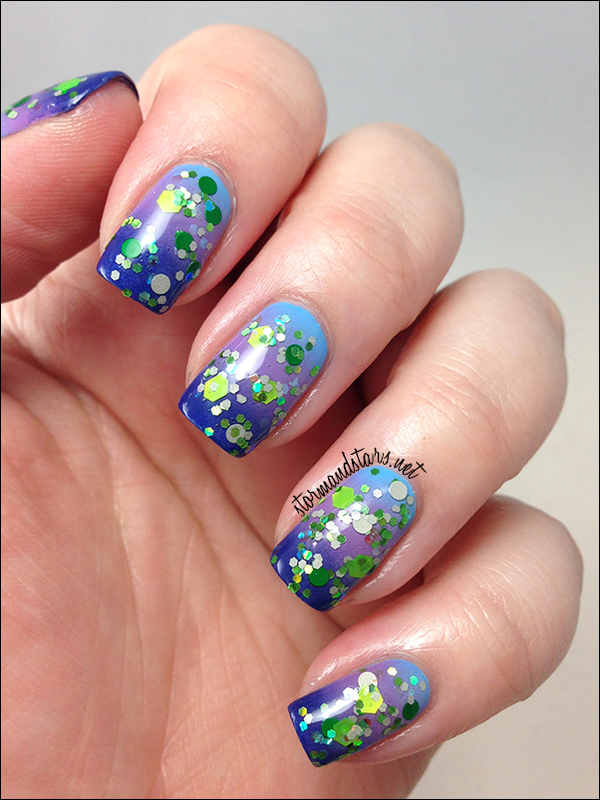 I layered this over a base gradient of Milani Black Swift, Cult Nails Nakizzles Shizzle and Faded. Again, no formula issues, though this one was in a thicker base than the first. This one is my absolute favorite of the bunch. Meet Beauty Queen! 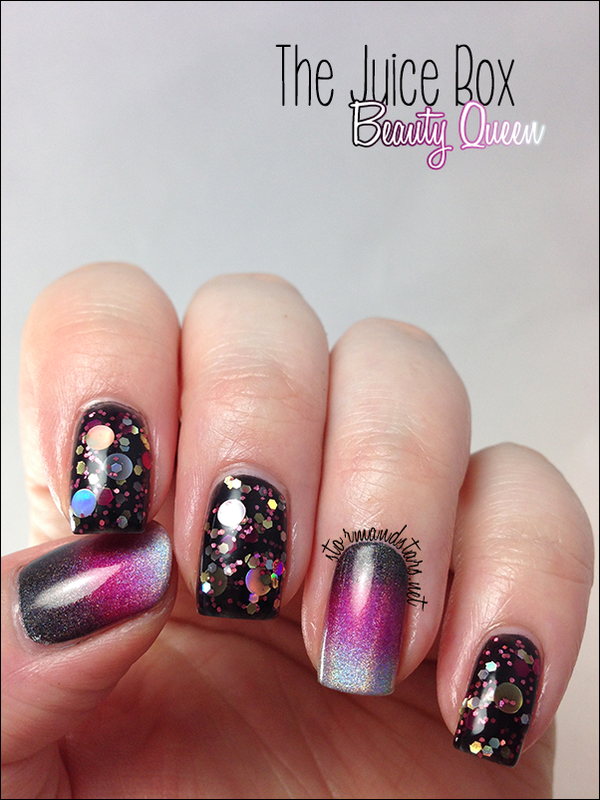 Beauty queen is a stunning black jelly base stuffed with silver and holo and pink glitters. I love this more than I can say. 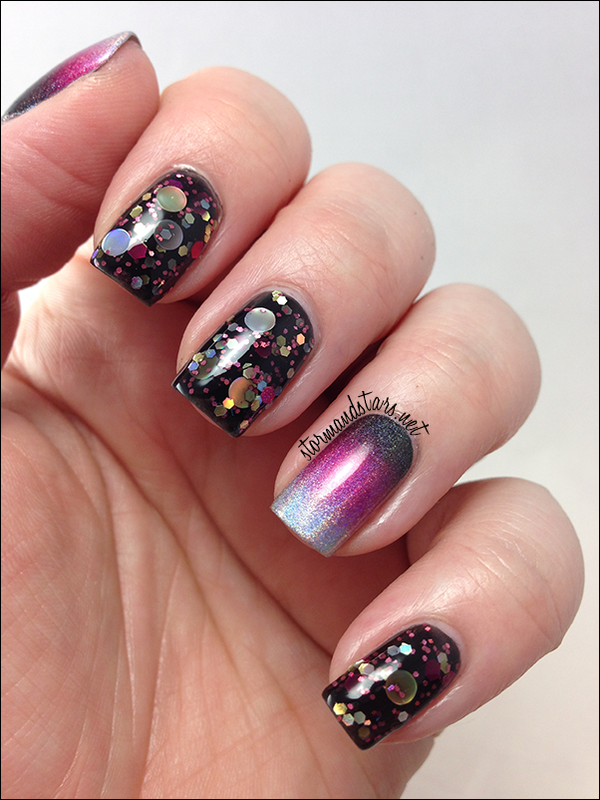 I paired Beauty Queen with a holographic gradient using Color Club Harp On It and Beyond and Zombie Darlings Heartbeat. Last but not least is Story Of My Life. 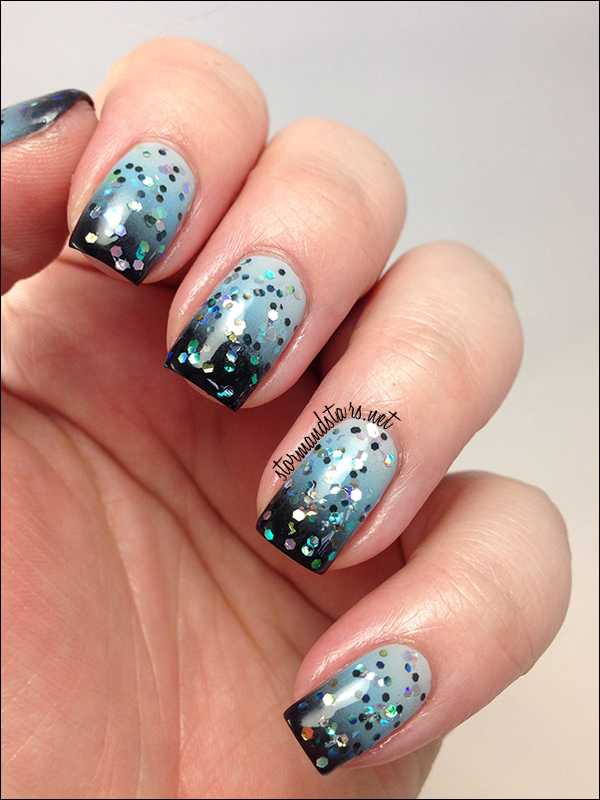 Another glitter topper, this one is stuffed with circle glitters and some small hexes. I absolutely LOVE the huge purple circles. 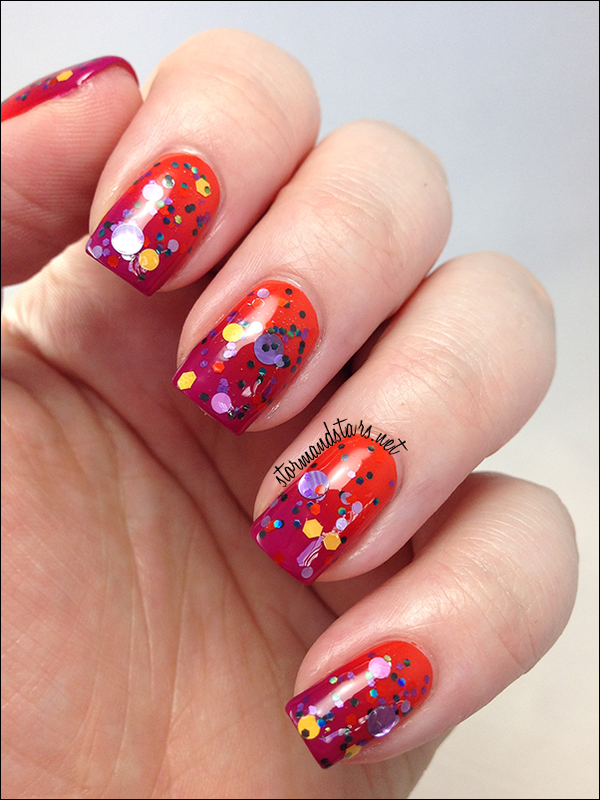 I layered this over a gradient of Cult Nails Ay Poppy! and Morning Glory. 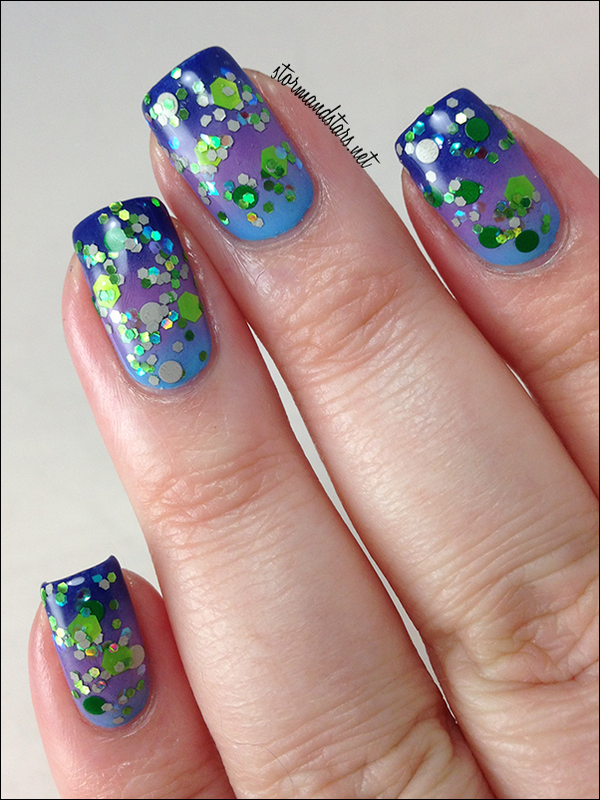 Formula on this was great and no fishing was required for this amount of glitter. Overall I really love this collection. The must haves for me are Beauty Queen and Nobody Likes You When You're Dead. 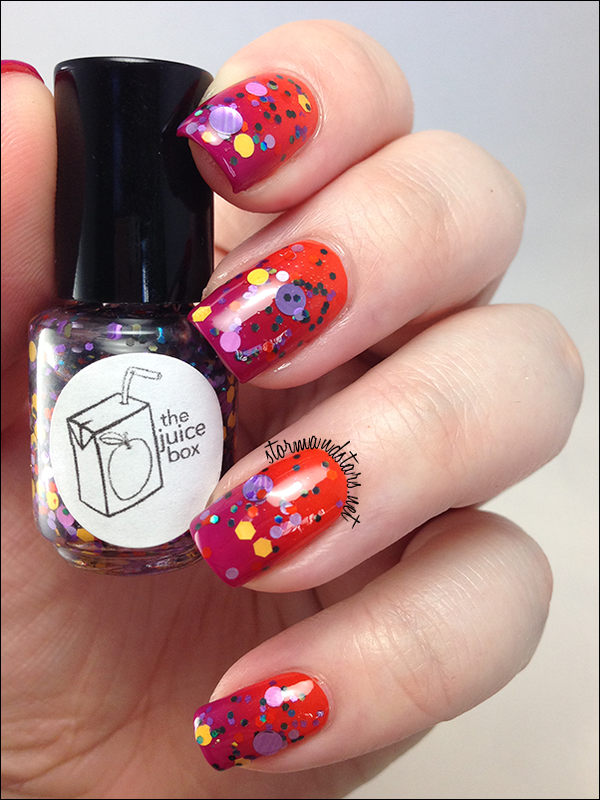 These lacquers are available for preorder from The Juice Box Shop right now. 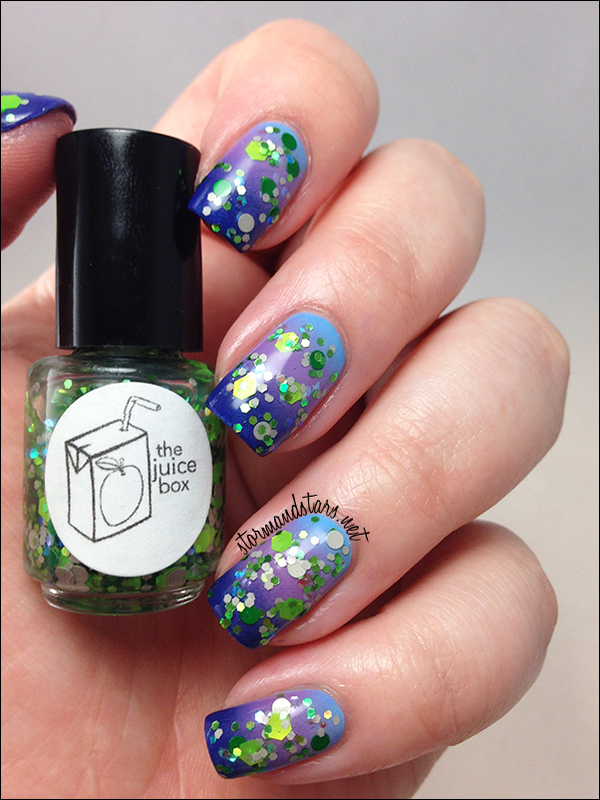 Please also follow The Juice Box on Instagram for news and updates and more swatches! What did you think of this collection? Are you going to order any? There are a great fashion trendy supportive services provider one. All the one will really get a good comparison of latest style trends. The latest theme of writing will be a great support for all the one with a great talented person from top essay writing services provider. 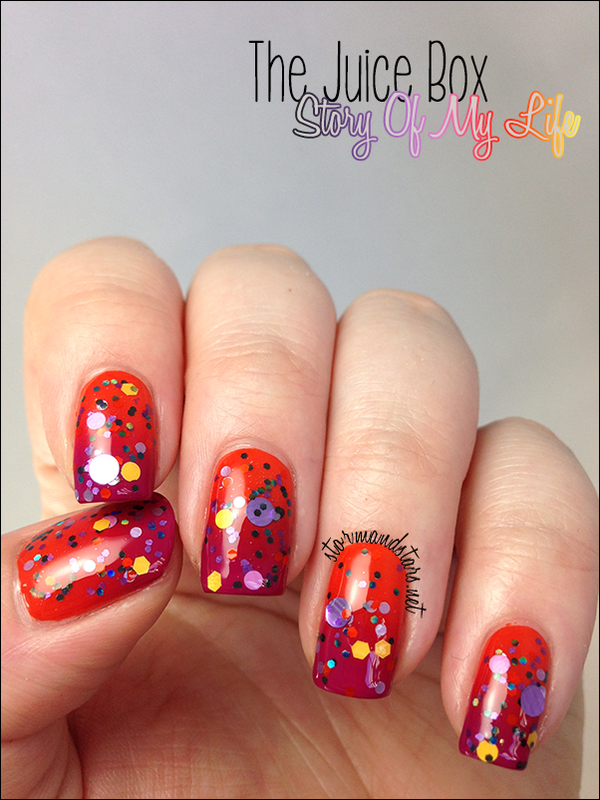 Cult Nails All Access Collection!